My personal hygiene has improved and waterborne diseases like amoeba and typhoid have decreased since we drink treated water after the training my parents received. I have known how to store our drinking water and treat it before drinking. My school performance has increased because I don’t waste a lot of time going to fetch water. 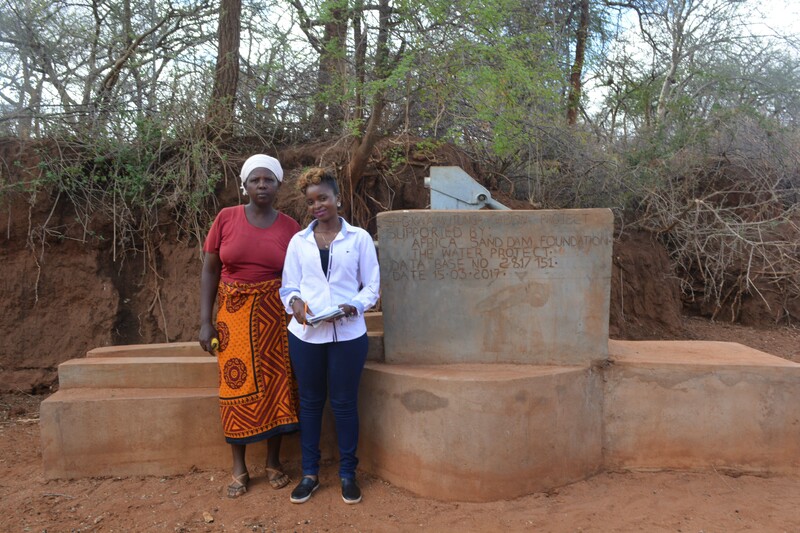 A year ago, generous donors helped build a hand-dug well for the Kwa Mutunga Self-Help Group in Kenya. Because of these gifts and our monthly donors, partners are able to visit project sites throughout the year, strengthening relationships with communities and evaluating the actual water project. These consistent visits allow us to learn vital lessons and hear amazing stories – we’re excited to share this one from our partners Titus Mbithi and Mutheu Mutune with you. People here used to have to travel to Kikuu River which is four hours one way. Now, people living in this area have their own hand-dug well that draws other people living as far as three kilometers away. 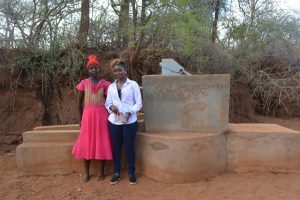 The water is safe for drinking, which has particularly benefitted livestock – There used to be so little water available that livestock would die during the dry seasons. People were trained on how to take care of their drinking water and since then, they have been seeing minimal cases of waterborne diseases. The project has now been supplying them with water throughout the year so that children are cleaner and the environment is greener. Though there is a hand-dug well, people still use scoop holes in the riverbed to get water for cleaning and watering livestock. Field Officer Mutheu Mutune with Mrs. Kyalo. Interviews were held at the water point. Our visit proved extremely valuable as we learned that this hand-dug well dries up on occasion. Water is still available in holes dug right by the sand dam but because of severe drought at the turn of the year, even those dried up for a few months. Ndungwa reports that without water at Kwa Mutunga’s sand dam, people either buy bottled water or make the long trip to Kikuu River. 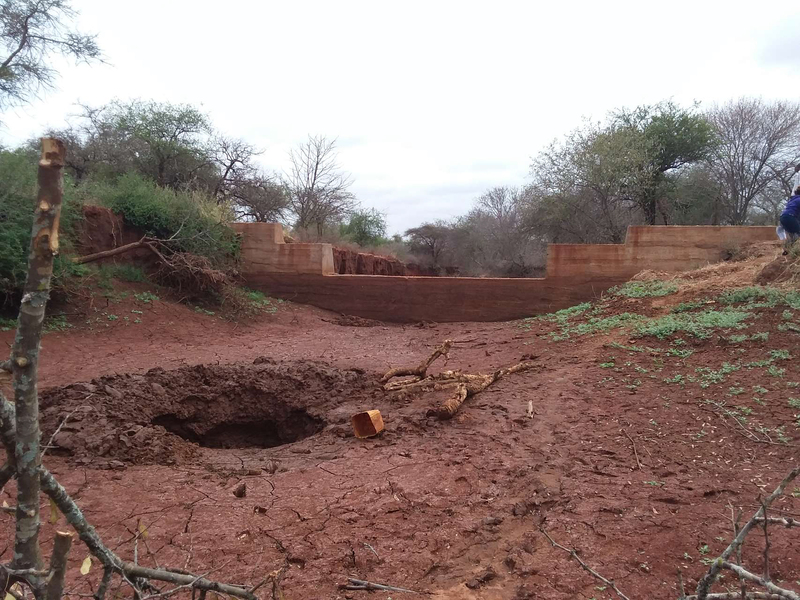 However, Mrs. Kyalo noted their young sand dam will continue to mature through more rainy seasons, building up sand and storing even more clean water which will make the environment greener and lives healthier. We will continue to work with this community to ensure clean drinking water in the future. Most of our other southeastern Kenya projects are like this too; they are young systems that need time to mature in order to provide clean, reliable water throughout drought. We look forward to this happening here, and are excited to monitor the transformation! 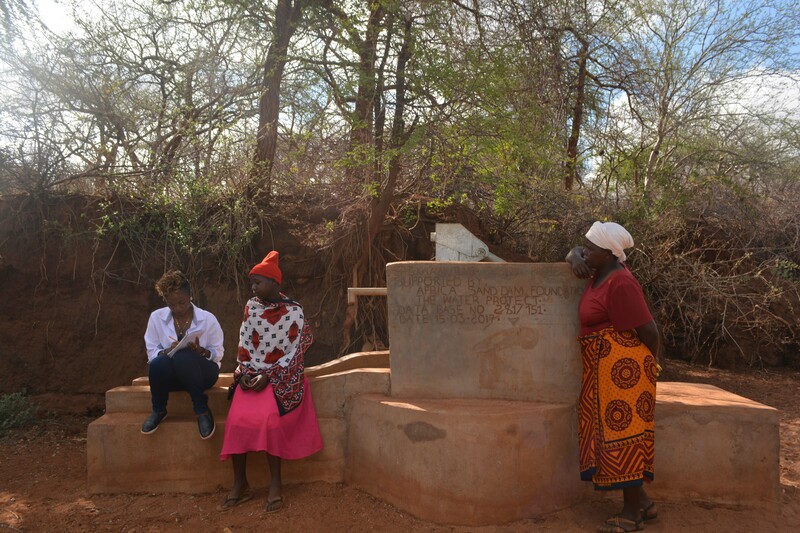 When you invest in The Water Project, you're investing in people like Ndungwa Kyalo. Your gifts help us reach more communities with the gift of clean, safe water. And every drop helps unlock potential.